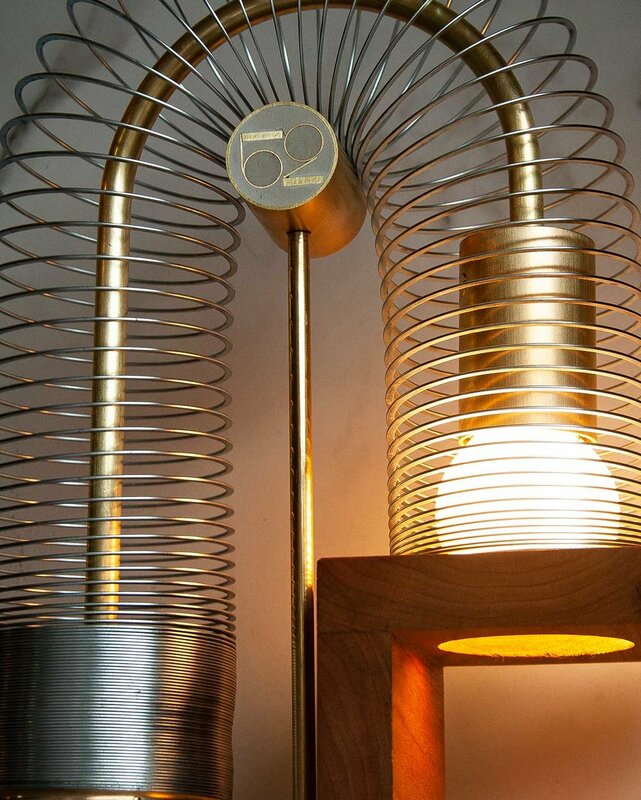 A slinky is given new purpose as a lamp dimmer. As the coil unfurls, the light gets brighter. When the light is at the desired intensity, tighten the thumb screw and secure the slinky in place along the curved brass rod. 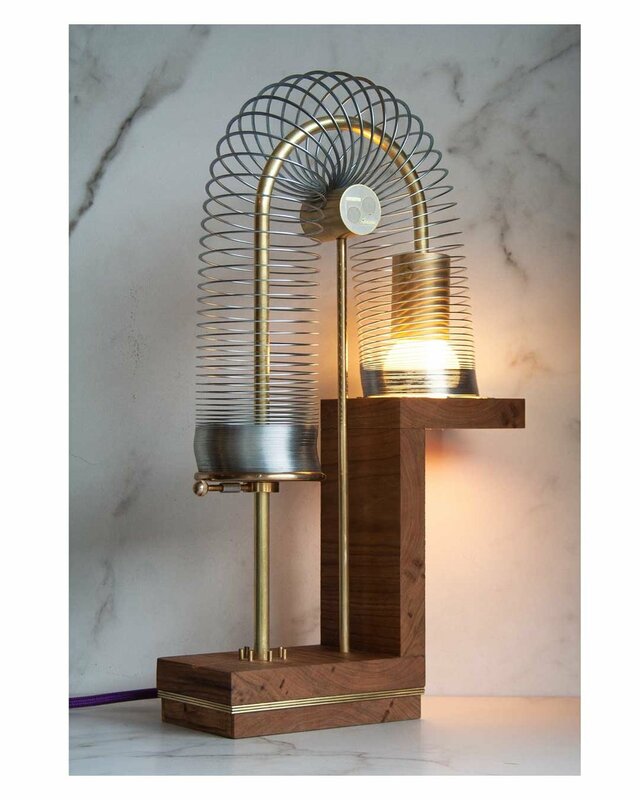 If you would like to place an order or would like to know more about the options and lead time for this lamp please contact Chris Martin at landrum07@gmail.com.